Minimize flare caused by direct sunlight and get clearer photos with better contrast using a Lens Hood. 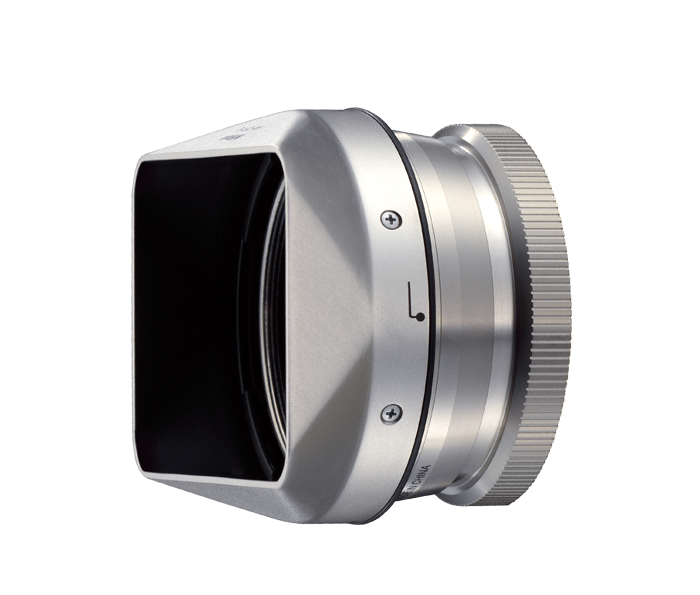 The UR-E24 is a filter adapter and the HN-CP18 is a lens hood. They come in a set, are made from aluminum and are silver in color.